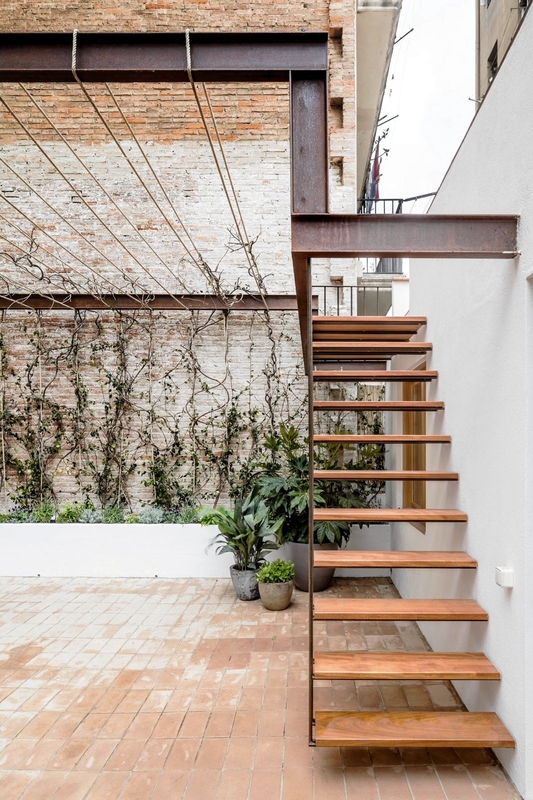 Industrial pergola and stairway. Gallery House by Carles Enrich. © Adrià Goula.